All sorts of new content to check out! 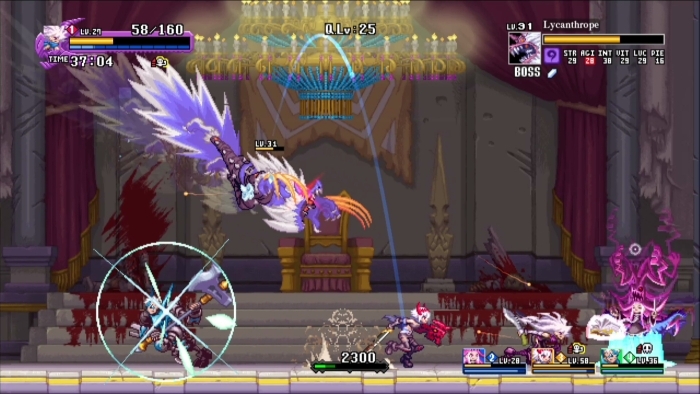 Version 2.0.0 for Dragon Marked for Death is now available. We're working off the Japanese patch notes for this update, so please excuse any mistranslated info. - level 10 to 48 weapons, accessories, and consumable items can be exchanged in the "Black Market"
As mentioned above, the "Round Blood Thieves" scenario is available, and it's a paid DLC experience. The scenario includes 11 quests that are rated for players between level 20 and 50. Take on the high-level quests to get new weapons and accessories as high as levels 55 to 60. The story of Blaster Master Zero 2 begins a few months after the events of the first game (released on March 9, 2017), where the main protagonist Jason saves planet Earth from the mutants. Eve has been infected by mutant cells that are slowly corrupting her body, so together with Jason and Fred, they board G-SOPHIA and begin an intergalactic journey to Eve's home planet, Sophia, in hopes of finding a cure for the mutant infection. 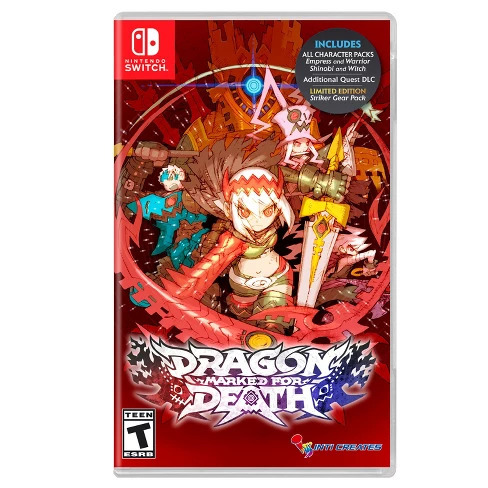 EDISON, N.J. – March 26, 2019 – Players yearning for classic side-scrolling multiplayer action on the Nintendo Switch can pick up a copy of Dragon Marked for Death at North American and European retailers starting today, or purchase online at Amazon, Best Buy, GameStop or Target. Fans holding out for the retail release will receive all four characters, Additional Quest download content (DLC) and for a limited time, the complete set of four Striker Gear DLC weapons. · Limited Edition Striker Gear Pack – Unlocks a unique weapon for each of the 4 playable characters only available in the initial run of the physical version. GoNintendo Video - Let's play Blaster Master Zero 2 and talk Switch redesign rumors! Blaster Master Zero 2 was a surprise launch for the Switch last week. Let's check that out while we go over the latest rumors about not one, but two Switch redesigns! What trouble has that damn frog gotten us into now? Experience the yet-untold story of Jason and Eve after defeating Earth's mutant scourge as they venture into the depths of space in their new battle tank, "GAIA-SOPHIA"! We here at Inti Creates along with our partners at Sunsoft are absolutely thrilled to announce that Blaster Master Zero 2 lands on Nintendo Switch...today! Revealed during the March 20th Nindies Direct video from Nintendo of America, Blaster Master Zero 2 is a direct sequel to Blaster Master Zero, a launch title for the Nintendo Switch. The story of Blaster Master Zero 2 begins a few months after the events of the first game (released on March 9th, 2017), where the main protagonist Jason saves planet Earth from the mutants. Jason's partner and support droid of their battle tank SOPHIA III, Eve, was infected by mutant cells that have been slowly corrupting her body, so together with Jason and Fred the frog, they board their new battle tank G-SOPHIA and begin an intergalactic journey to Eve's home planet Sophia in hopes of finding a cure for the mutant infection. To celebrate the release of Blaster Master Zero 2, we will be exhibiting the game at our booth on the show floor of PAX East 2019 from March 28 - March 31 in Boston, Massachusetts. With the upcoming physical release of Bloodstained Curse of the Moon by Limited Run Games on MArch 15th, we wanted to revisit the game and celebrate the release with you! Matt and Andrew are here to not only showcase the latest Inti Creates content. but to also bring you the latest Inti Creates news, take your questions live on air, and more! Personal note here...if you haven't played Bloodstained: Curse of the Moon and you like retro-style games, I can't recommend it enough. I really feel like Inti Creates did a wonderful job of not only nailing to true vibe of classic NES games, but also injecting a fair amount of new ideas and approaches to side-scrolling action. Really, really enjoyed that title.